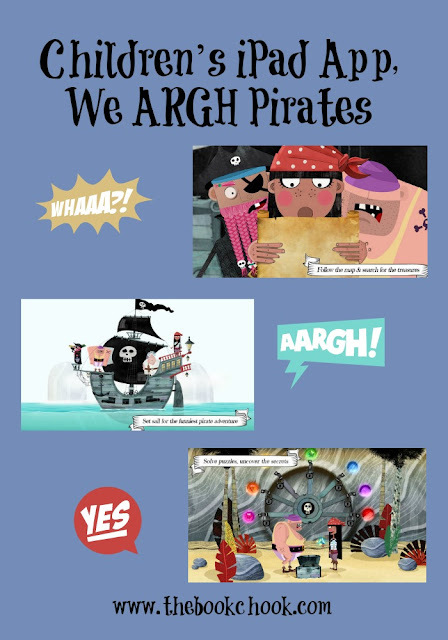 We ARGH Pirates is a game app by developer, Avokiddo. I have previously reviewed their apps Thinkrolls, Thinkrolls: Kings and Queens, Avokiddo Emotions, and Beck and Bo. I liked the way Avokiddo combined the theatre of every child’s pirate fantasy with game elements. There are sacks of gold just waiting to be collected. There are mythical creatures and strange adventures. There are problems to solve, great for creative thinking, but there are also hints to prevent frustration. There is silliness and laughter as for example when Captain Rose manages to drop things on the head of a hapless crew member. The art work is attractive. The app is well thought out and navigation is easy. It’s game play I think is suited to the target age range of between 6 and 8 year-olds, and if kids enjoy it, it would be ideal to follow up with some pirate-themed books from the library! It would also make a fun app to use in conjunction with Children’s Book Week in Australia, where the theme is “Find your Treasure”! Get more of an idea, especially of what Avokiddo describes as the “unique cinematic feel”, in the trailer below.